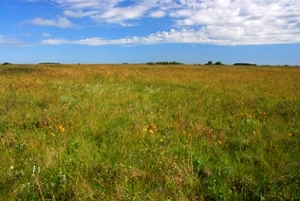 Kernen Prairie is a 130-hectare remnant Fescue Prairie located about 1-km NE of Saskatoon, Saskatchewan, Canada. 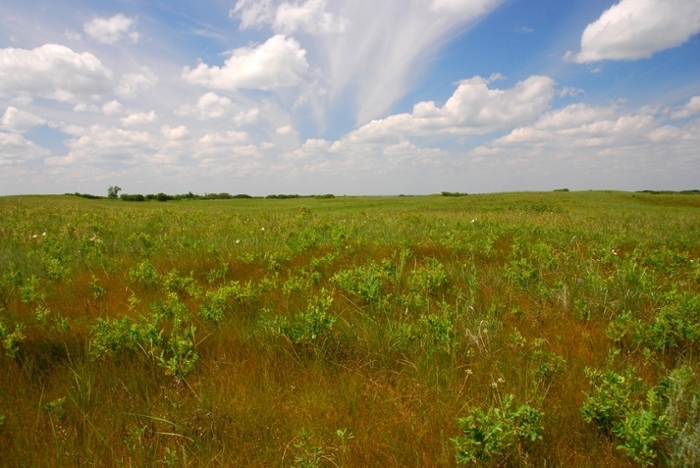 It is one of the largest remaining patches of Fescue Prairie in Saskatchewan, occurring as an ecotone between the Northern Mixed Prairie and Aspen Parkland. Kernen Prairie is a mosaic of plant communities representing the Northern Mixed Prairie and Fescue Prairie. Plant communities dominated by plains rough fescue (Festuca hallii) occur on lower slope positions with moderate soil water. A drier community type composed of northern wheatgrass (Elymus lanceolatus) and western porcupine grass (Hesperostipa curtiseta) occurs in areas that are slightly elevated. Aspen (Populus tremuloides) groves and wetland vegetation are found on the lowest, wettest parts of the prairie. The soils of Kernen Prairie were formed during the retreat of the Wisconsinan Glaciation, about 12,000 years ago. As the giant ice sheet slowly melted away, Glacial Lake Saskatoon formed over the area. Fine sediment dumped in the lake by glacial melt water lead to the development of heavy clay soils. A ridge of coarse textured soils running north and south through Kernen Prairie is likely an old sand bar from that glacial lake. The Kernen Prairie has been under the control of the University of Saskatchewan since 1977 but beyond management for invasive plant species and controlled burning for experimental purposes, no comprehensive management plan has been put in place. 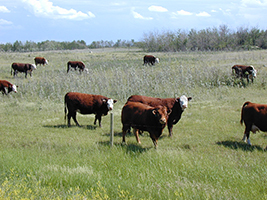 In the spring of 2006, cattle were introduced in tandem with a burning system to recreate, on a small scale, the pattern of burning and grazing familiar to this landscape long ago. Research continues in the form of monitoring species diversity, evaluating the effectiveness of this method of control on invasive species, and many other projects. 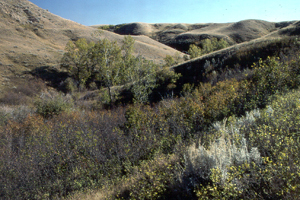 The Biddulph natural area is located approximately 25 km south of Saskatoon in the Moose Wood Sandhills. The area is a transition zone between the mixed prairie to the south and the fescue prairie and mised wood section of the Boreal forest to the north. The area is located on sandy, stream delta deposits and boasts Ecosystems such as a riparian ecosystem, wetlands, stabilized sand dunes, open grass and shrub dominated plant communities. Its proximity to the campus and alternate geographical formation process make it an excellent outdoor classroom. The Matador Grassland is a field station on Provincial Crown land and a site for grassland research. It is located 35 km SE of Kyle SK, and is the largest remaining uncultivated area of well drained lacustrine clay soils in the Northern Great Plains. It is classified as the Mixed Prairie Association and is dominated by Agropyron dasystachyum and Koeleria cristata species. The site is essential to the department for both its teaching and research programs.